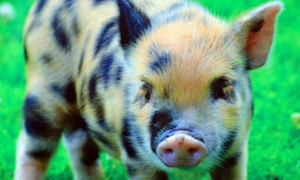 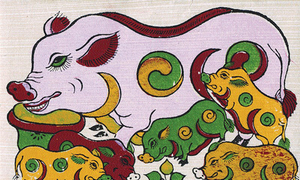 To paraphrase a popular saying, you cannot throw a stone at Vietnamese culture without hitting a pig. 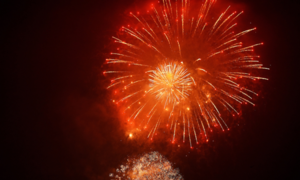 Fireworks were set off in 30 locations in Hanoi to give the Year of the Pig a dazzling welcome. 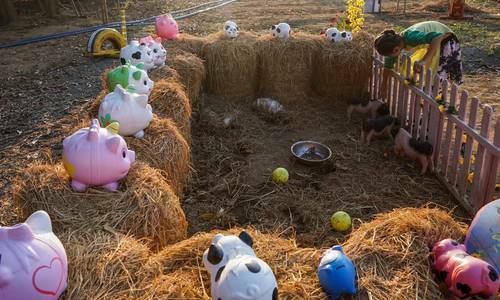 The Tao Dan Flower Fair in Saigon is showing images of several pig breeds, some Vietnamese and others foreign. 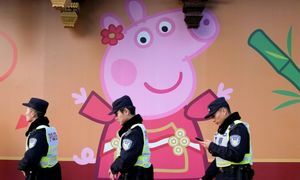 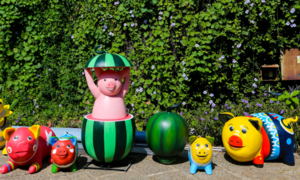 Roasted as a subversive symbol and chopped from a video streaming website in China, it seemed Peppa Pig faced a bleak future in China. 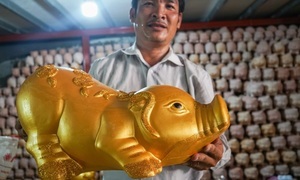 Artisans are putting finishing touches on giant pigs that will dominate Saigon’s famous flower street to welcome Tet. 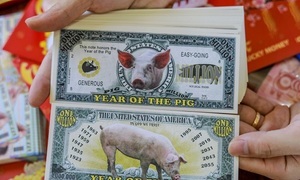 Souvenir shops in HCMC are selling currency bills and coins with images of swine a month before the Year of the Pig begins.